Sexual harassment is a big problem in gyms and health clubs — here's how to tackle it. When you walk into Rebel Fitness Club, a new boxing-oriented gym outside of Detroit, Michigan, you’re greeted by a sign declaring the space’s zero-tolerance policy for harassment, violence and abuse. Continue down the halls and you’ll find bold phrases on the walls like “rebel against hate” and “rebel against bullying." Take a group class or a one-on-training and you’ll notice that aside from a corrective tap on the shoulder or elbow (and a high-five to close), trainers do not touch you at all. The rooms where classes are held are so dimly lit you can’t get a good look at yourself, let alone at your classmates and there’s only one mirror in the front of the room. This is what goes into making a gym a safe, comfortable space for all members, but especially for women, says owner Michelle Landry who has experienced harassment firsthand in other gyms. And yet, as a new survey by ExerciseBike.net found, many women are doing just that: changing their behaviors to deal with sexual harassment in the gym. Consulting 1,000 adults (roughly split between men and women), the survey found that 18.5 percent of women had a negative experience at the gym, most of whom altered their workout regimen in response: 72 percent of women wore different clothes to work out after being sexually harassed at the gym; 48 percent stopped doing certain exercises, 37 percent switched gyms or stopped going altogether and 79 percent said they’d consider an all-women’s gym to prevent sexual harassment. The survey found that men are also victims of sexual harassment in the gym, though the number (still startling) is smaller: 7.3 percent of men said they had been sexually harassed in the gym. They too fight back, however unfairly, by changing their ways but are, based on this survey at least, less inclined to do so than women. Twenty-five percent of men who had been sexually harassed wore different clothing after, 31 percent have stopped doing certain exercises, 17 percent have switched gyms or stopped going altogether and 31 percent said they would consider joining an all-men’s gym. Men may be sexually harassed less than women in gyms (a micro-reflection of society at large, perhaps), but there’s a clear crossing of boundaries regardless of one’s gender, and most of the time (93 percent) the offense is committed by a fellow gym member and most victims (98 percent of women victims and 95 percent of men) cited touching or groping as the offense, followed by “being rubbed up against” (92 percent of women and 85 percent of men). Additionally, both men and women are wary to report incidents: 44 percent of women “did nothing” following harassment as did 67 percent of men. This survey focuses on sexual harassment, but gyms also seem to be cesspools for all kinds of harassment, including body shaming. Duma says she also receives troves of unsolicited comments from fellow gym members about when or how she should work out. She also hears “you’re brave” a lot — “just for exercising,” she adds. Lauren Saccone, a freelance writer and social media specialist in her early thirties has also had her overwhelming share of despicable experiences at the gym, especially when she’s lifting weights. Don’t use the gym for flirting. Just don’t. Why do gyms act as virtual cesspools for lewd and unwanted behavior? Why in particular do men somehow think they can get away with or even be appreciated for sexually charged gestures or remarks? The list of reasons could go on and may include, as Jessica Higgins an avid fitness fan and the author of the forthcoming book “The 12 Essential Business Communication Skills”, the warped idea that gyms are a good place to mingle and meet potential dates. Same goes for those eyeing men they may be interested in. Save it for the bar. I’m not exactly sure why so many men’s magazines reported that the gym is a great place to meet women, but coming from my female workout friends: we dissent. Rebel Fitness is setting a great example in fostering a healthy space, but it should be noted that this isn’t your ordinary gym. Aside from the personal training section, it doesn’t tout any self-serve workout areas, so to speak, and primarily focuses on classes. 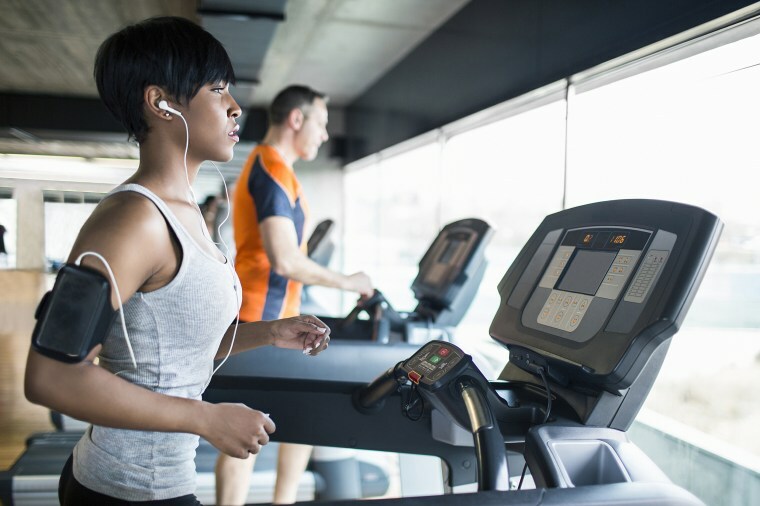 But every gym can take cue in setting the stage for a harassment-free zone, even if this means revising contracts to include strict regulations. “I think there’s resistance from gyms around making the environment more formal and corporate, but this has to happen,” says Mark Kluger, employment lawyer at Kluger Healey. What exactly could this look like? Not only should gyms make it clear in employee and members contracts that they’re agreeing to a zero-tolerance policy (at the risk of being reported and banned), they may also want to give members questionnaires to fill out indicating what style of training they want from personal training staff. Kluger adds that this stuff really isn’t very complicated.